China in Africa: The Real Story: African Roads: Why So Many Chinese Contractors? Do you think it is necessary to hire companies from outside to complete infrastructure projects? Have you asked your government why Congolese are not hired to build roads? My thinking is if Congolese are hired then perhaps the government might not get kickbacks from outside companies. I have been to the Congo and was once married to a Congolese. I would be shocked to know that you don't have people intelligent enough to complete infrastructure projects. Please let me know if you think this is the problem. You certainly have enough financial resources to pay locals to do the job. I imagine that Congolese companies also pay kickbacks. The use of outside companies to complete infrastructure is a really interesting phenomenon across Africa. It has has nothing to do with levels of intelligence. It might be levels of training and experience -- paving roads is not rocket science but it does take a certain level of engineering and it probably takes fairly deep pockets to start a company to do this, import expensive construction machinery, bid on projects, pay your staff while waiting to get contracts, etc. Entrepreneurs in Africa might take the easier route of trade, or services, which are less risky, require less capital. I think this goes back to the quote by Claude Ake that argues that African leaders have never been interested in development. With the money that exists in the Congo and other countries in Africa, why won't governments invest in the necessary inputs to allow locals to be capable of doing the jobs? Long-term planning is necessary. Instead of employing Chinese firms, buy the equipment and send Congolese to China or South Africa to learn how to use it and how to build infrastructure. We know that the major difference between most African countries and Asian countries is that money, even if it was based on corruption, remained in Asia and was invested in empowering Asians to foster development. One hundred years from now will it still be the case that foreigners will have to be hired to build roads in the Congo and other wealthy countries? Since Africa is on the "rise" this is the perfect opportunity to begin to decrease dependency on foreigners for development. Imagine where Africa would be if its leaders really became serious about development using locals. African agency would lift so many people out of poverty and ensure that Africa continues to rise, even after the Chinese leave. Furthermore, it would stop the pillaging of Africa's resources by foreigners. While this may be painful initially, in the end, however, it would change the way Africans perceive themselves in the global economy. And the world will gain a much deeper respect for the continent. I think you could have stopped with your first sentence. African governments don't care about development. In addition to the points you raise, 1) China just completed one of the largest infrastructure construction projects in history and has a surplus of highly skilled, infrastructure companies with nothing left to do in China, 2) China is financing much of the infrastructure building in Africa so there is no economic incentive for African governments to fund this construction. African leaders appear to have a very short sighted understanding of how wealth is generated. Infrastructure comes first, roads, sewage and electricity. 85% of Africa's problems would vanish overnight if theses three things were addressed. That the Chinese government understands this and the African governments don't is baffling. Corruptions as an obstacle to development is a red herring, as China so clearly illustrates. Where I do take issue is your assertion that money remained in Asia to foster develop. China's economic "miracle" was entirely bought and paid for by multinational corporations, which invested billions of dollars in China and basically funded the export led growth strategy that is responsible for where China is today. Very few African governments have any development strategy and for that reason, only African governments can be held accountable. The fact is that no one in the Western world or China wants to see Africa managing it's own ressources. They will do all they can to destabilize Africa, create and forge problems so foreigners can come as "saviours". All the western World or china want is to get African ressources for little money. Margaret, I couldn't agree with you more. But given that African governments are not doing these things, what is the second-best-case scenario? According to the World Bank, only 12 percent of Sub-Saharan African roads are paved. Must Africans wait for paved roads until they get the leadership they ought rightly to have? This continues to break my heart. When will Africans rise to the occasion and be all they can be? Are the professional African engineers abroad because their countries won't pay a living wage? Is China obliged to hired locally? At all? Where's the Black Empowerment program when it's needed? Was the same issue seen with western development projects? Are the project heads looking for people who will "go along with the program" and not raise objections to cheating and other misdeeds? 2011 and 2040…Such costs are beyond the financing capacities of governments or even donors. Attracting private sector participation through Public-Private Partnerships (PPPs) is therefore essential…" So I don't think African leaders have never been interested in developing infrastructure. They are well aware of the importance of infrastructure. Many African countries are still lacking financial capital to improve its infrastructure. Many of these roads and bridge projects are still made possible by ODA or ODA-like funding from various countries and development agencies. Chinese contractors, like other international contractors, won the majority of such contracts because of many reasons: design, efficiency, track records, etc. It is also because many projects are financed by China, so China's MOFCOM open the bidding only to Chinese construction companies. African countries have every right to develop their own capacity in terms of infrastructure building. Africa has huge talent and potential. But at the same time, no country is an isolated island in the globalized economy today. If China can improve its human capital and take advantage of the technology and capital brought by foreign investments, so can African countries. In this process, projects can serve as catalysts for industrial development, technology training, and education. Based on my knowledge of several projects in Ghana, more local workers are hired than Chinese workers and they work in teams. The massive urbanization and population growth is under way in Africa, which presents opportunities for visionary African leaders to take advantage of international collaboration and to think about capacity building. I think we do have the skills,( it is not rocket science) but as lots of comments aboves states, it is corruptions at sets us back. To win a bid, most African contactors have to pay a certain purcentage of the total bid, then it goes down the line. As a result the AFRICAN contractor will deliver a weakened Jobs. In my own country of Burkina Faso, Roads rarely last 2 to 3 years. And as they start to detoriate, we understand how they were built. The chinese contractors on the other-side pay little to no bribes because they pre-finance these projects. In Zambia, there is a diversity of contractors: Japanese on Japanese funded roads in the Lusaka area; Portuguese in Eastern province; Chinese and South Africans in multiple points across the country, et al. I have no data on Zambian/indigenous contractors or subcontractors on roads projects but I would imagine the percentage is not high. In Zambia, recent governments have been interested in speed of completion of projects, preferably before the next presidential election cycle. So that is one key factor to consider in choice of major contractor, likely to be a Chinese company. The other is opportunity for kickbacks on the part of highly placed locals. Now corruption is a two/three way street, see Xi Jinpin's corruption campaign in China or the numerous politicians who have been arrested in New York State on corruption charges. So we should not over generalize, and to the extent possible, we should bring some evidence-based perspectives and nuance to the discussion. Some infrastructure jobs are large and require sophisticated specialist expertise which is typically lacking locally. Further, such jobs require well capitalized companies or those with enough muscle to ensure payment of time by the host governments. Let’s not forget contractor procurement submissions on cost to complete project. In sum, the reasons for the dearth of local participation in road infrastructure projects, at least in the Zambian case, are manifold: lack of sufficient capital, insufficient experience/expertise, government political priorities, corruption, to site perhaps the key ones. Let’s keep in mind also that large scale infrastructure projects in a good number of African countries are a recent phenomenon, made possible by sovereign USD borrowings or Multilateral banks funding or, in countries with a sustained GDP growth rate in the last decade, increasing budgets funded by commodities revenues. Where non-Zambian entities have funded road projects, their priorities have usually predominated with regard to choice of contractors or related hiring, I would suspect. I certainly respect and understand the rationale for foreigners getting contracts to build infrastructure. However, I maintain my concern that African capacity building is lacking. Indeed some countries such as Zambia might not have the resources to build complicated infrastructure projects, but what of SADC. I remember in Beira in the late 1980's when one of the major questions was why locals are not involved in rehabilitating the port. European supporters of SADC had built nice housing in Beira to accommodate their workers who needed a job. This is not a new issue -- namely foreigners coming in to build in Africa. Suppose, for example, that corruption among the elites were put to an end, just imagine the amount of money that could be used for development. The concept of "Africa rising" largely grows out of the selling of huge amounts of resources (oil, minerals, land, etc.) to foreigners. There are many countries that have the monetary means to invest in infrastructure development.Stop the corruption, train locals, buy the expensive equipment, and get moving before all the resources are taken out the continent and the current so-called supporters today of Africa will be laughing at how stupid the leaders were not to build local capacity. Several years ago Pambazuka had a very sad cartoon. On one side of the land that had been sold to foreigners was a caption that said, "Those stupid Africans." On the other side of the road you had poor Africans who were sad because their only source of income was their land and it had been taken away from them. So it is really time to stop all these excuses and start empowering the people. Notwithstanding the need for infrastructure development, there are studies that indicate some infrastructure development leads to ports so that the scramblers can get Africa's wealth out of the continent. What is the hurry in the 21st century? The hurry is that African leaders want to sell their resources to the highest bidder so they can line their pockets and the scramblers want to make sure they get what is needed for development in their respective countries, including food. This is not only a shame, but it is a crime against the local population. The ongoing resistance by locals against the Chinese speaks to how those who function in the non-hegemonic world feel about what their governments are doing. If these people had access to this blog I wonder what they would say. And just a few loose comments: infrastructure development in china came after the development of the local economy, and not the other way around! This is the first study on Chinese construction in Africa that I ever saw and I remember 2 comments. Let the quality control be done by a German company and the Chinese companies provide exceptionally quality work. And that Kenyan construction companies counted on the EU to ensure that Chinese companies would not have a monopoly in this market. Having worked a little bit in East Africa I have a very very basic understanding of how Chinese road building companies operate. In Kenya for example, there is the China Road/Bridge Corporation, China Wuyi, CATIC, and a few big players who have been quite prominent players on both road building and infrastructure development. I think a few factors tip the scale in favor of Chinese companies. 1. funding: most african governments require external sources of funding, either through the WB, ABD, or Chinese banks like the CDB or EXIM bank. Chinese banks are obviously going to favor Chinese companies, and from what I hear, the ability to acquire financing is a crucial factor for Chinese companies having a leg up over their western counterparts. 2. ability: if you look at the ENR top 250 list, the world's top contractors' list is dominated by Chinese companies, who have been consolidated and given full backing of the state. In terms of cost and efficiency they are also quite ahead of western companies. the cost of building materials and labor is also significantly cheaper due to government subsidies and the country's economic policies...Chinese companies are winning projects in Europe and the US as well, if western companies have a hard time competing, how much harder do you think it will be for local companies? the times are changing though, albeit it only slowly, both AVIC and Wuyi have internship programs for African students, I have some friends from East Africa working in their Beijing offices now. The daughter of a large energy company (local) is also working as an engineer for a Japanese company, local empowerment is a slow and painful process, but its happening. Professor Lee is wrong about China's motivation for pursuing construction contracts as a means of dumping Chinese people in Africa. She is also inaccurate in stating most African countries have the capacity and financial resources to build all of its infrastructure. I. 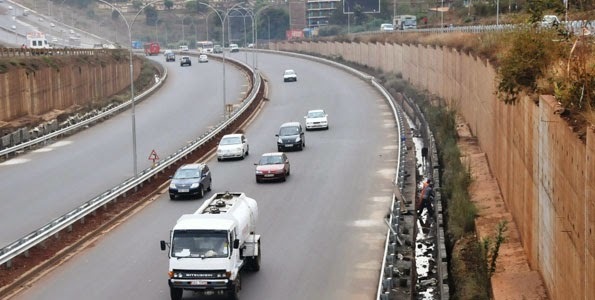 When a Chinese construction company seeks a 100 million USD road construction contract in Africa, it is pursuing profit. The company whether private or state owned wants to win business. There is no interest in seizing a business opportunity like a large construction contract as a means of dumping 200 or so odd engineers and technicians from China somewhere in Africa for two years. Professor Lee, your assertion about China's people dumping motivation is downright silly. II. African contractors do build infrastructure. For example, a domestic contractor built the regional airport in Isiolo, Kenya. For the under construction 650 million USD Greenfield Terminal in Nairobi, which will be largest terminal in Africa, the work is done by Chinese contractors. Complex projects like this require expertise not available in Africa. There are a few wealthy African countries like Angola and Congo-B that have the budget and credit lines to get everything built but the rest of Africa lacks capital and development assistance from outside of Africa is needed to fund the shortfall. So are you saying the their has never been a case of dumping ? I think is is normal if its part of the deal. Maybe i am naive, but look at what china did in 5, 10 years, compare to the 200 years colonisation and looting. China wants to do business with Africa for real. i dont know if you noticed but nowadays even the west takes Chinas money. I think Chinese builders and contractors have their own advantages, they keep the time and words, they ensure the quality of the projects, though they do have a lot to improve. Now african countries are not like before, they pay more attention on developing their domestic industries, so we can imagine that gradually a lot of China-Africa joint-venture companies will come out and take most of the projects. However, we are China one-stop supplier for builders, including furniture,sanitary ware and building material. Visit www.builderunion.com to know more of us. Thanks.